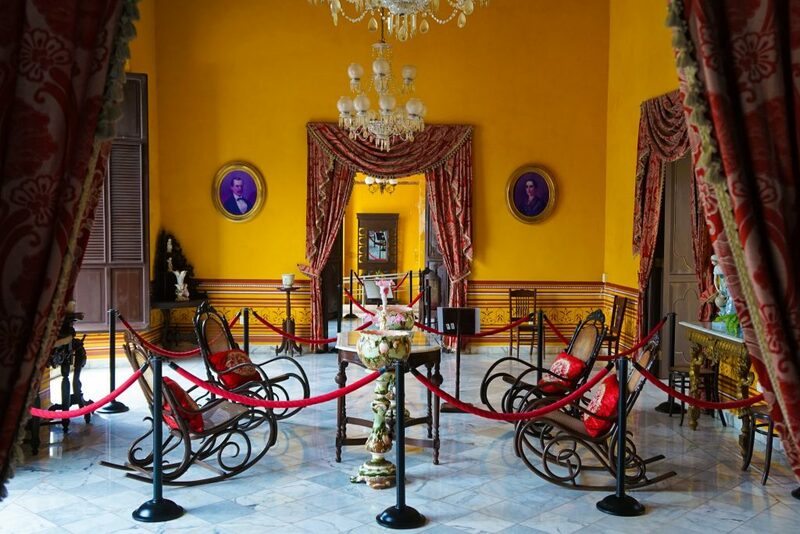 Campeche – a stunning colonial UNESCO World Heritage site in Mexico’s Yucatan Peninsula – is like something straight out of a fairy tale, complete with pirates, beautiful mansions and old-world forts to protect the damsel in distress. 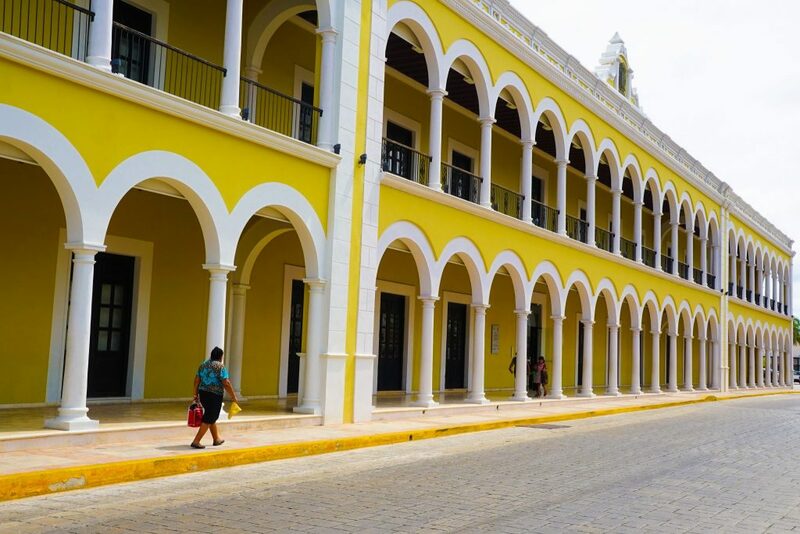 Located on the opposite side of the Peninsula, but seemingly a world away from Cancun and the Maya Rivera, Campeche stands in stark contrast as a place where the world slows down, authenticity is rife, and locals can be seen going about their daily life. 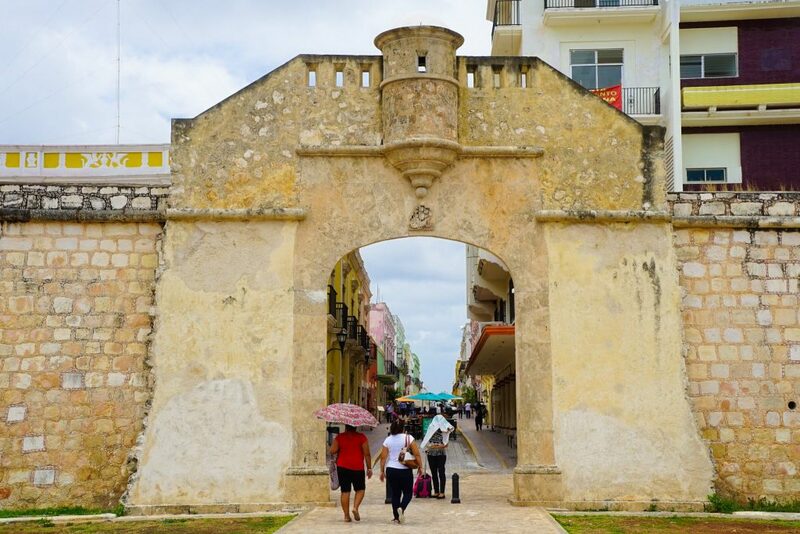 The main attraction here, and that through which Campeche earned it’s UNESCO designation, is the historic old town with outer walls and fortifications designed to defend the Caribbean port for the omnipresent Pirate attacks in the 17th and 18th century. While the main wall was completed too late in the game to protect the city for the worst of the attacks, today most of the fortified baluartes (bastions or bulwarks) have survived to make for a great way to re-enact your Pirates of the Caribbean fantasies! Within the old town, every building has been painstakingly restored in pristine pastel perfection – all the muted colors of the rainbow are on display here and just walking the narrow cobblestone streets will inspire you to grab your camera at every turn. With well over 2,000 historic buildings protected and returned to original condition, the historic center itself is enough reason to visit, but just outside the city walls you can get your typical Mexican big city fix, with a crazy market, tranquil malecón (sea-side walk), intriguing street art and shopping malls if you need it. 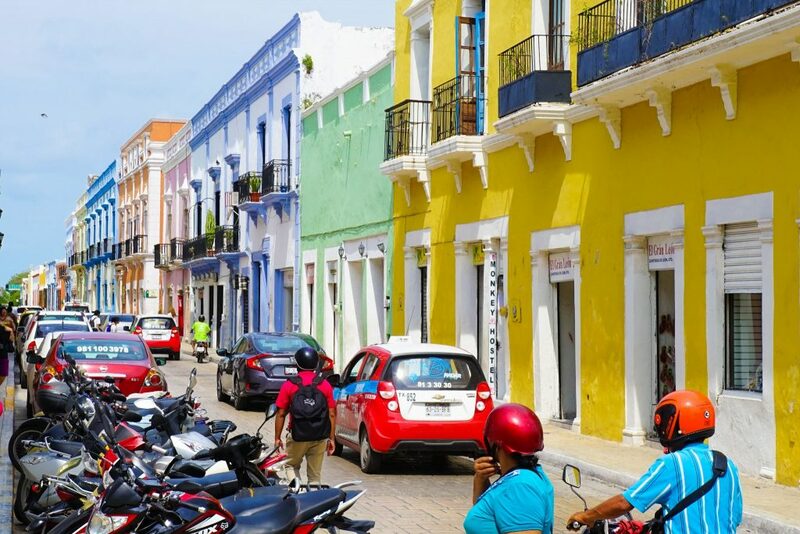 Back inside the old town, it seems international tourists have not yet figured out the secret of Campeche – so prices remain low and everyday life continues on. Domestic tourism and the relaxed lifestyle on offer provides just enough drive for dozens of eateries, bars, and cafes (all of unexpectedly high quality) that are dotted around the town and its central street. 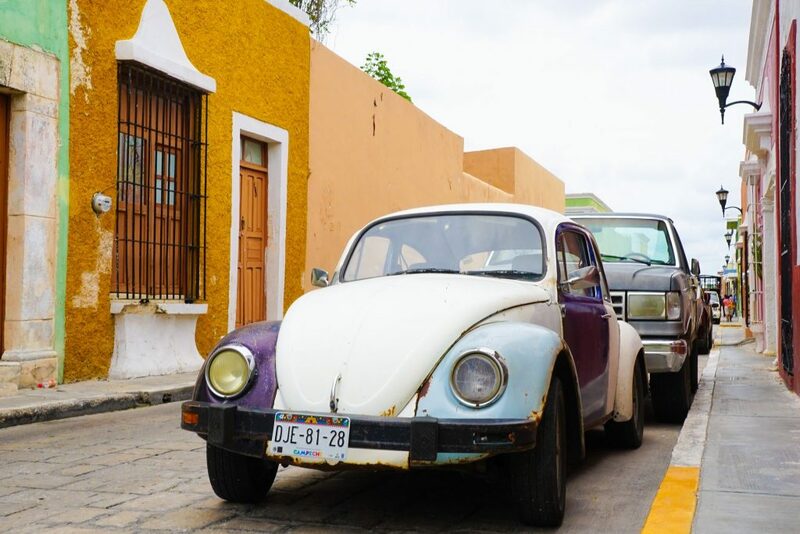 An absolute must-see place on any trip to Mexico – here are 11 fun things to do in Campeche Mexico to convince you that you absolutely just have to go to Mexico’s Rainbow City! 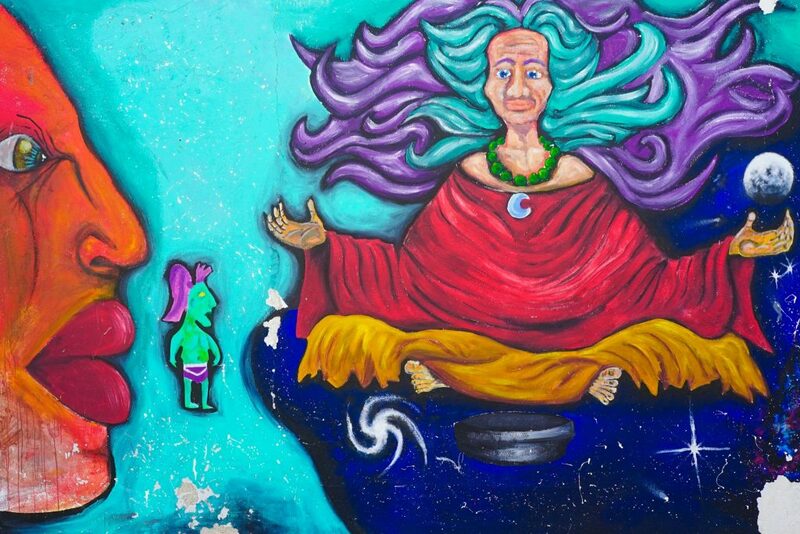 11 Fun Things To Do In Campeche: Mexico’s Rainbow City! An unexpected treasure that at only 30 pesos is a steal for the rich variety of Mayan antiquities and stelae stores here from all over the Peninsula. Well-explained and jam-packed, this small museum is also housed in an old part of the city wall so don’t forget to head up top afterward for an incredible view. A great introduction to Mayan culture and their written language, yet detailed enough for those who have already visited a few ruins to find something of interested. 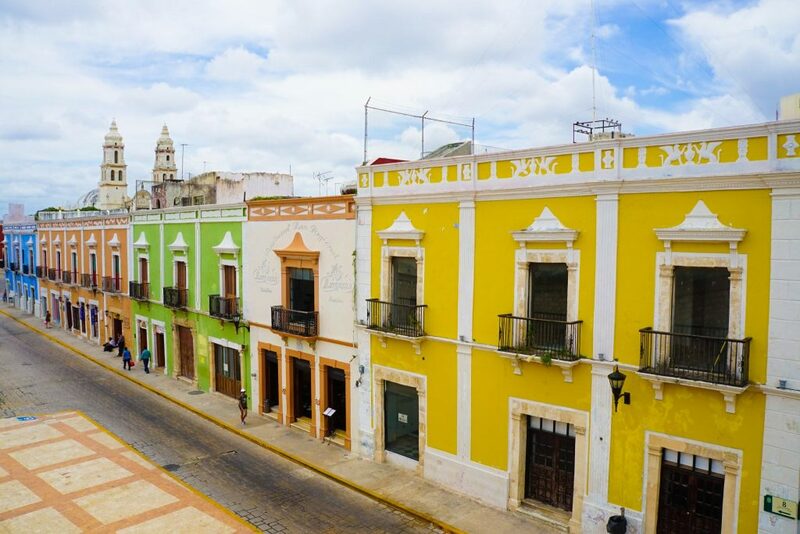 Just wandering these storied streets leaves you in awe – not only of the shear number of pastel colors Campeche seems to have discovered but also of the preserved mansions you get glimpses of through iron bars or of glorious churches built in a time when money, gold, and trade thrived here. Catedral de Nuestra Señora de la Purísima Concepción is probably the most stand-out building in the city, with its baroque façade and uncharacteristically austere interior. This beautiful limestone structure towers over the town and reminds it’s citizens who are number one. 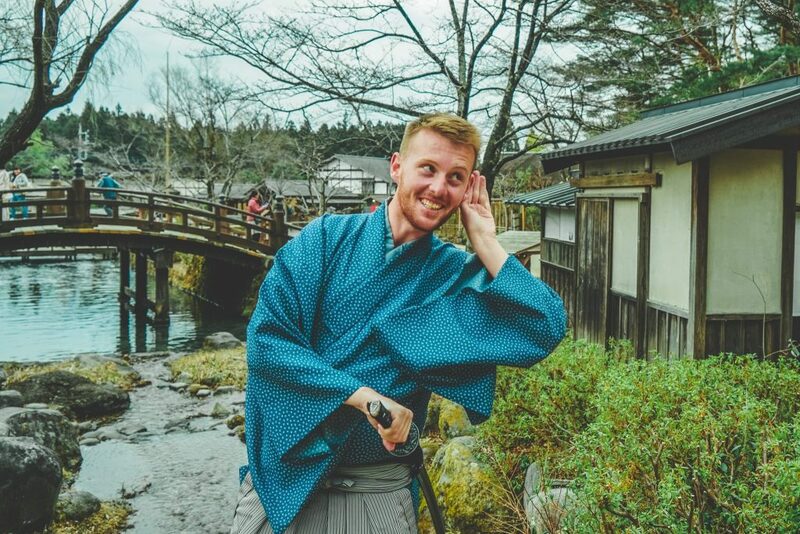 Pack your camera and hit the streets however and you are sure to find your own favorite building – there are over 2,000 to choose from after all! 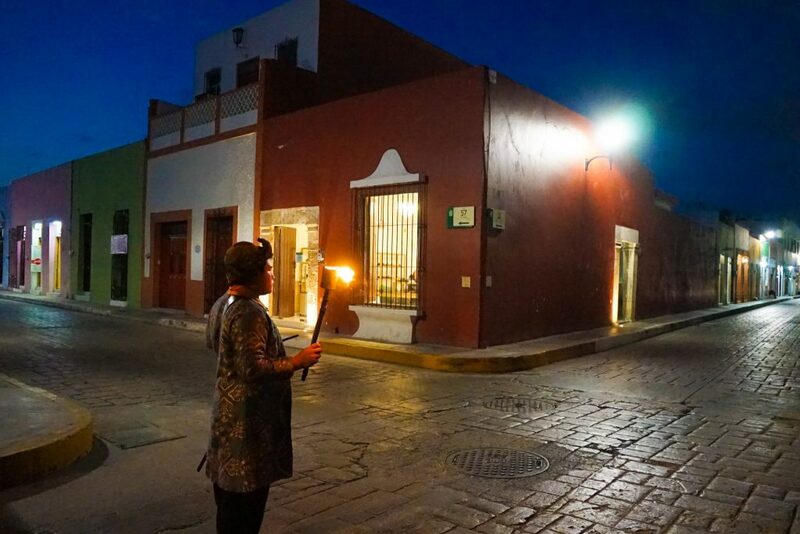 Wandering these streets is easily one of my favorite things to do in Campeche Mexico. 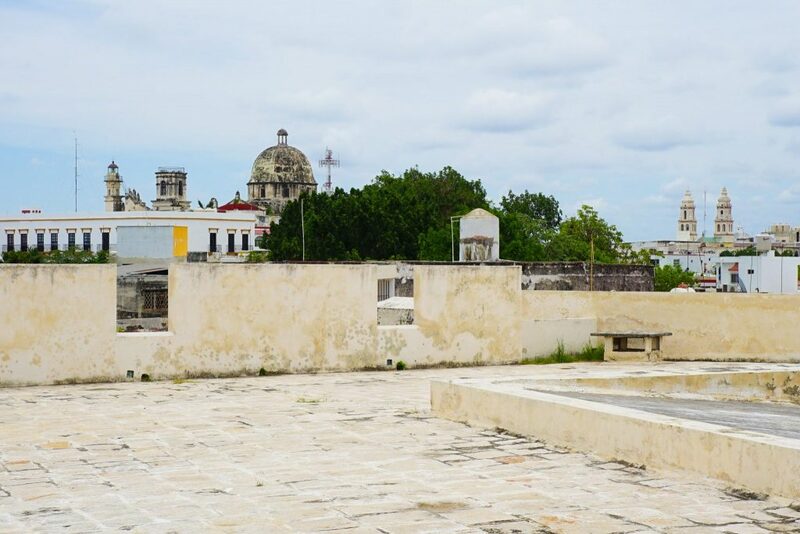 A glimpse into high society and what was once the cities most prestigious address, across the green plaza from the Campeche Cathedral. A typical upper-class house from the pre-revolutionary era you can learn more about the cities changing fortunes and global trade relations here through the furniture on display. Only USD 2 a visit it is well worth it, though one gets the feeling you could just as simply see much of this by walking into any of the local houses in the area – which speaks only to how well the town has preserved its heritage. A small patio at the back is great to enjoy a book – which coincidentally can be brought from the small boutique bookshop here with everything Campeche related you could ever imagine…and then some! With a unique position on the Yucatan peninsula, Campeche is granted those ‘to-die-for’ sunsets that the Mayan Rivera and Cancun can just never have. Full of deep reds, oranges and yellow every night is a unique piece of art that you would do well to take time to appreciate. 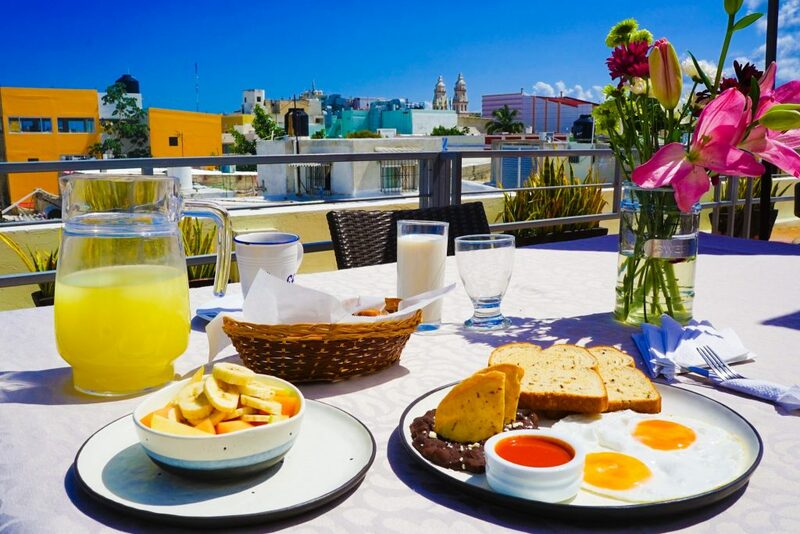 While the sterile malecón by the seaside seems to be a favorite amongst locals to view this masterpiece, I personally preferred the most intimate and relaxed surround’s afforded by H177 Hotel’s exclusive roof-top terrace. 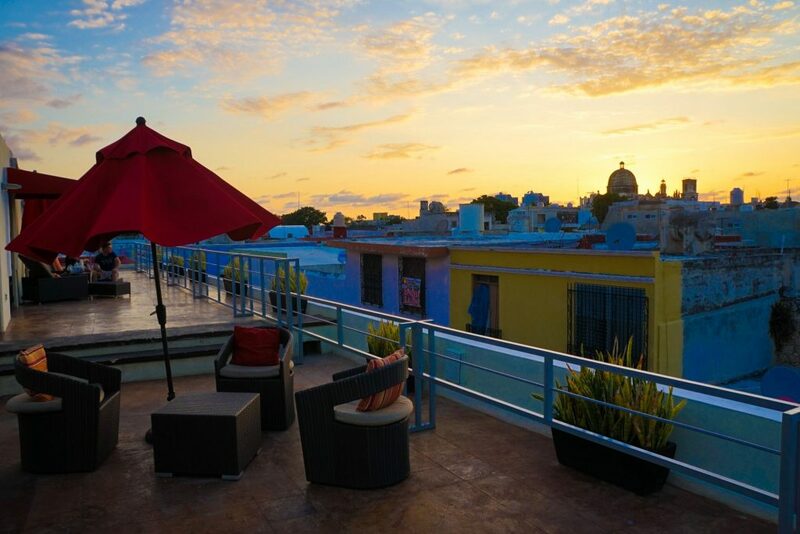 For guests only, I can also highly recommend this hotel (and you can read my H177 Hotel Campeche Review here) not only for its staff, rooms, and price – but also for its rooftop lounging to appreciate the sunset every night which seems to go for hours! So really, one of the best things to do in Campeche is to sit back, relax and enjoy the show! 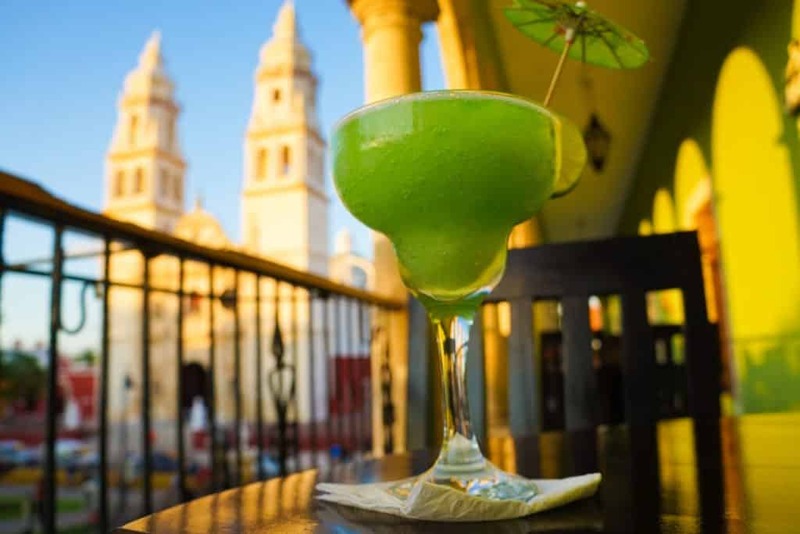 As previously mentioned, the variety of dining establishments in Campeche is likely to bewilder – if not outright blow away, and there is something for everyone. From fine-dining and steakhouses to quiet cocktail bars, delicious pizzerias, and lounge-able cafés. I was in foodie heaven (or at least a food coma for most of the time!). I happened to be there during the cities famous restaurant week so was able to sample plenty of dishes, and I loved everything – but my favorites would have to be Luan Café, Café Sotavento, La Parrilla Colonial for something a bit more upscale or Casa Vieha del Rio for a great cocktail and unbeatable view of the Campeche Cathedral. 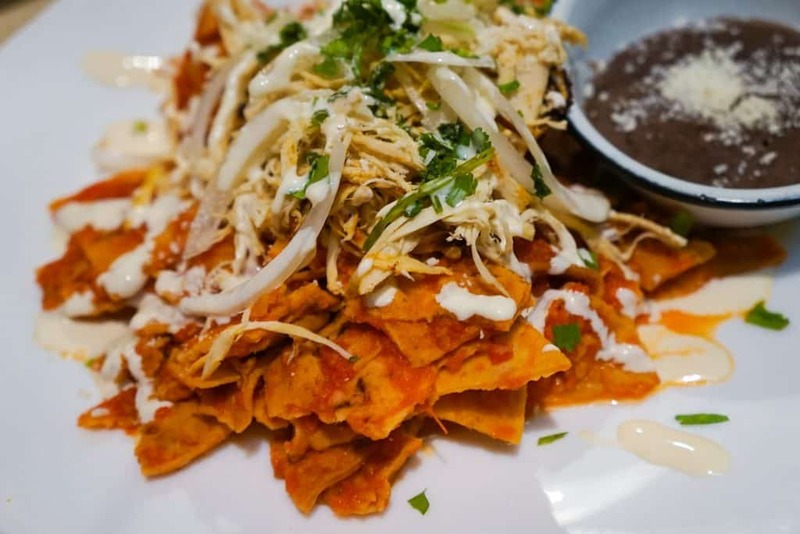 If you are ever stuck for inspiration Calle 59 houses the cities dining precinct, is closed to traffic, and has plenty of outdoor seating for food inspiration. 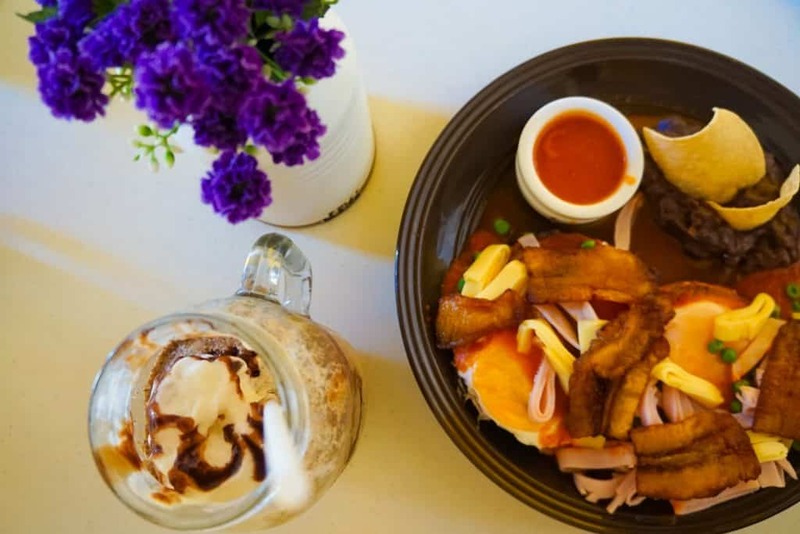 The must-try food of this region, or the typical campechano dish, is undoubtedly pan de cazón – an intriguing layered tortilla contraption complete with minced shark meat straight from the cities harbor, beans and a heavy dose of tomato sauce. Also, try camaron de coco (prawns in coconut) or horchata de coco (rice and coconut drink), and in no time you’ll fit in with the locals. The closest Mayan Ruins to Campeche – this site, while not UNESCO listed, covers over 17 square kilometers and was in use for over 2,000 years, from 600 BC all the way through to the 15th century! 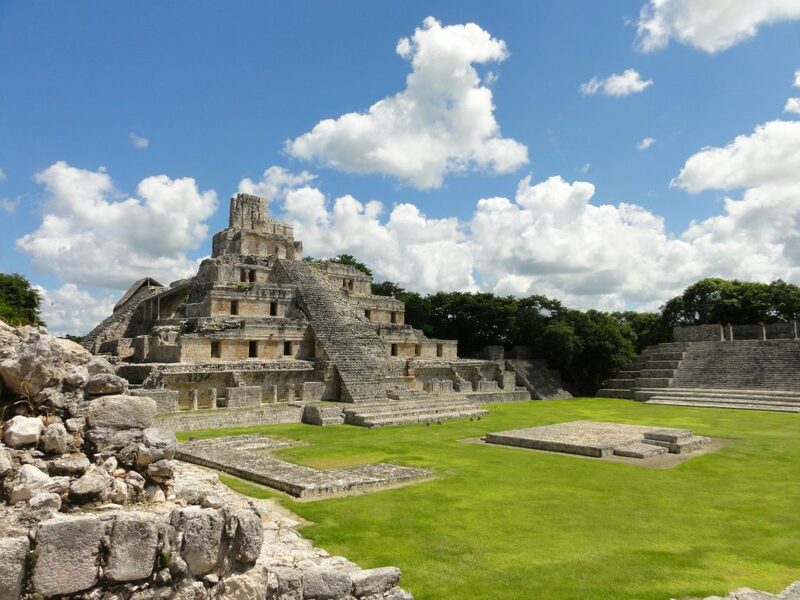 While lacking the fame of Palenque, Tikal or Chichen Itza, this also has it’s own advantages as you can wander practically free of tourists and wonder what led to this great cities decline and eventual abandonment. For serious ruin buff’s UNESCO listed Uxmal is only a 2-hour bus trip away and can be done on the way to or from Merida – the biggest city in the Yucatan, but for now we are still focused on things to do in Campeche Mexico! 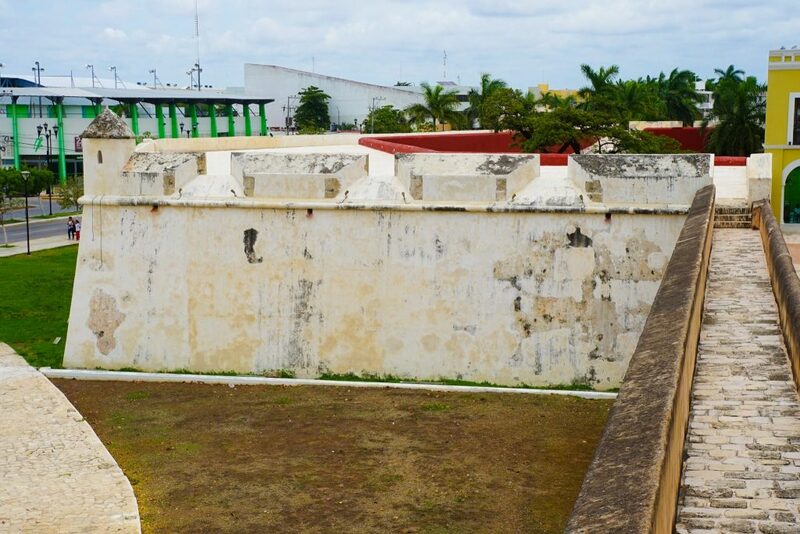 Not only did those colonial Spanish seek to wall up Campeche in its heyday as protection for pirates, but they also rushed to develop secondary defenses including Fuerte de San Miguel about 2 kilometers south of the city along the coast. The views and sunsets along here are to die for – up on a hill looking out across the empty blue ocean, but the fort itself remains a highlight complete with a large (empty) moat, a drawbridge and large stone walls that still keep any intruders out. 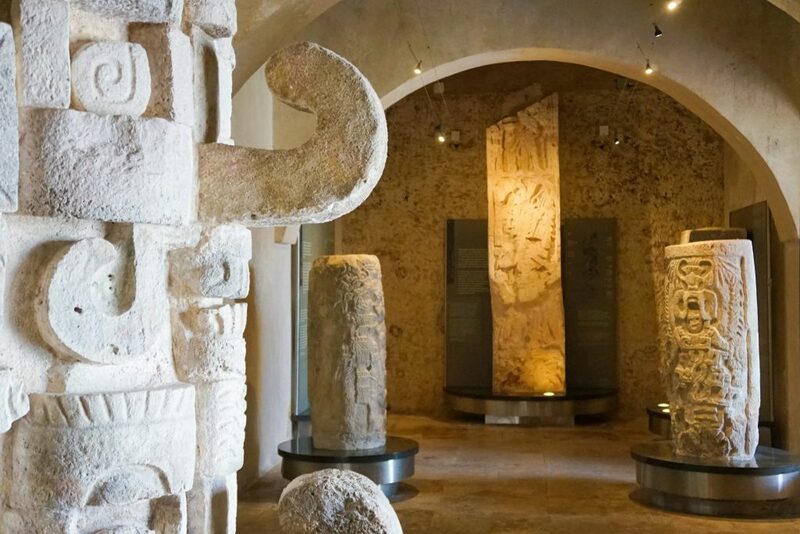 If you can’t bear the heat of a middle of the day visit, the Fort also houses the excellent Museo Arqueológico de Campeche that contains many Mayan pieces of art from Calakmul and Edzná – including burial art, jewelry and a jade mask. Don’t ask me why they decided to house it here and not in the cities Mayan museum, but it is definitely worth a peek! A taxi from the center city is 50 pesos or a bus that plies the main highway below is 7 pesos. 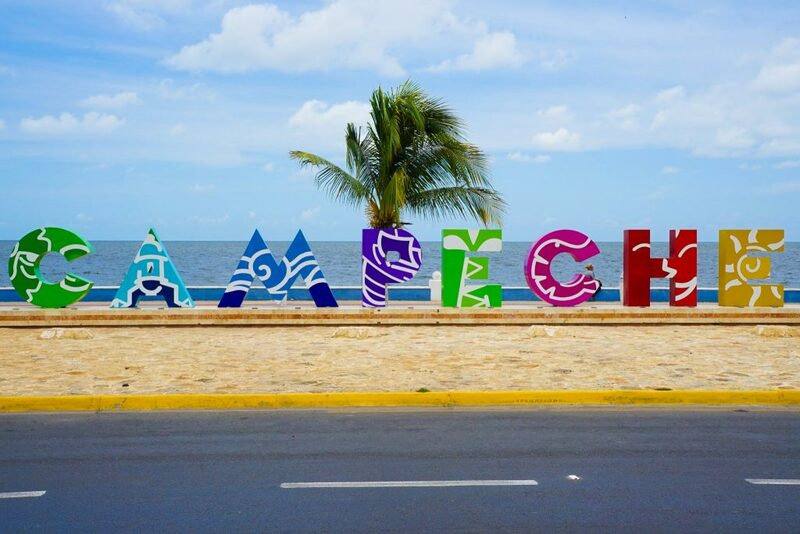 Also be sure to combine with the below Campeche attraction. #8. Enact Your Pirate Fantasies – At least For A Evening! While the golden age of piracy in the Caribbean may long be gone – tourists and locals alike can still live out their buccaneering fantasies on weekends here with a unique city tour from the ocean on a real Pirate ship at sunset then head back to town for a pirate lights and acting show at the Puerta de Tierra (Land Gate) where visitors both young and old are treated to light pyrotechnics, a history lesson (in Spanish) and a rather eery walk on the city walls at night. 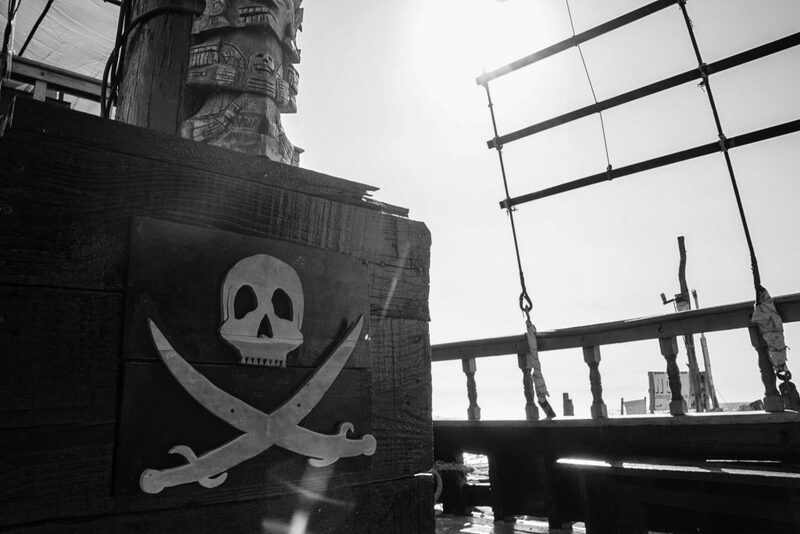 For extra authenticity head to one of the many bars around after for some rum and grog! 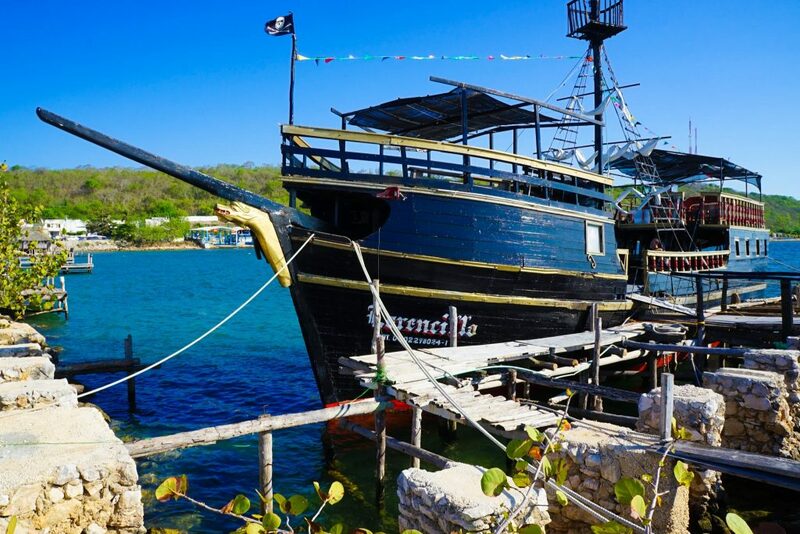 The Pirate Ship leaves at 5 pm from the seafood restaurant El Faro del Morro just underneath the San Miguel Fort on Saturday and Sunday nights and the Pirate show in Campeche starts at 8 pm on Fridays, Saturdays, and Sundays. Whether or not you have children, the Campeche show is one of the most fun things to do in Campeche Mexico! As one of the largest trading ports in the New World, Campeche was constantly under pirate attack. One of the worst was the Sacking of Campeche in 1663 by over 20 ships (the biggest pirate attack in history!) that sent shockwaves around the world and forced King George of England to cease all state-sponsored piracy – though buccaneering continued in a private capacity. 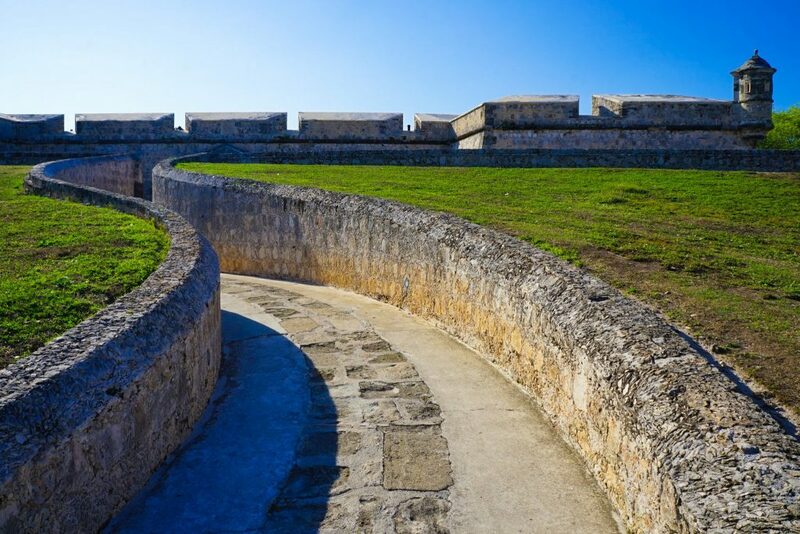 Still, after this assault, the King of Spain was forced to construct Campeche’s now famed walls to protect the city which took over 50 years to construct and at over 2 kilometers long and 8 meters wide they made the city practically impregnable. Fortunately, they were never really tested after this, and today 7 of the eight bastions of the wall remain (along with two section of the wall). Each of the bastions houses some sort of small museum that is worth checking out, and one houses the Jardín Botánico X much Haltún (a Botanical Garden) which I thought was incredibly unique. A free museum on the main square, the Museum of the City Campeche has been recently renovated and now houses a very modern showcase of the cities history from the Mayan times, through Conquest, Colonization, Pirate Attacks and through to Campeche’s rivalry with Merida and Campeche’s role in Mexican Independence. 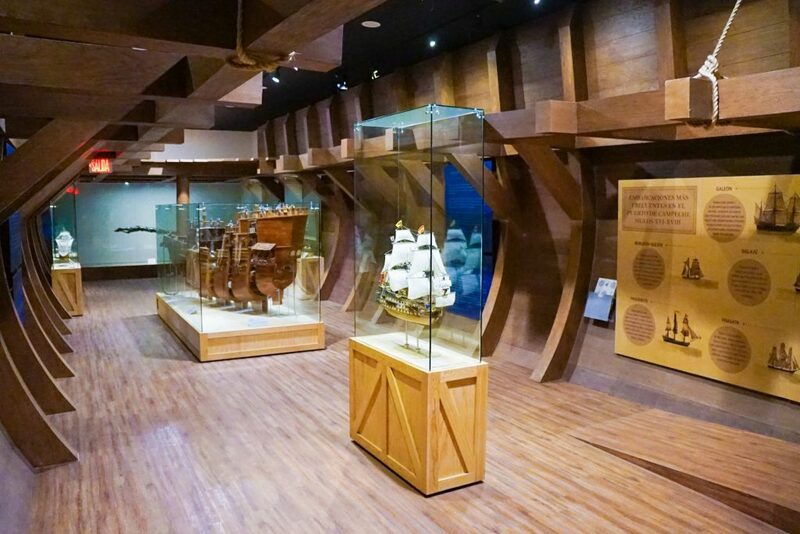 Highlights are some of the period clothes; scale replica’s of Campeche during different era’s, a reconstructed room of a ship and several muskets and antiques. The major texts are also in English! 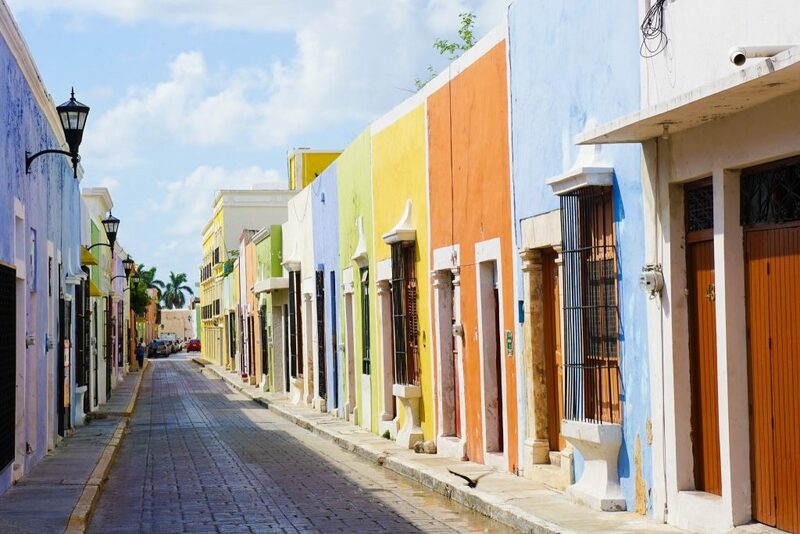 While inside the picture-perfect old town of Campeche you will only find pastel colors adorning the exteriors of buildings if you take a little time the urban art of Campeche will both delight and surprise. 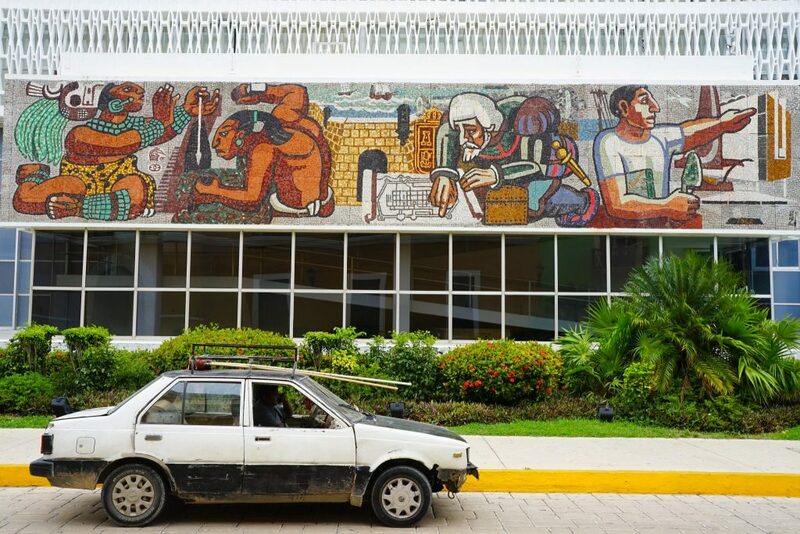 Always changing and hard to pin down, one of my favorites the modern art-deco artwork in front of the uninspired and out-of-place Palacio de Gobierno (Government Palace) on the edge of town. 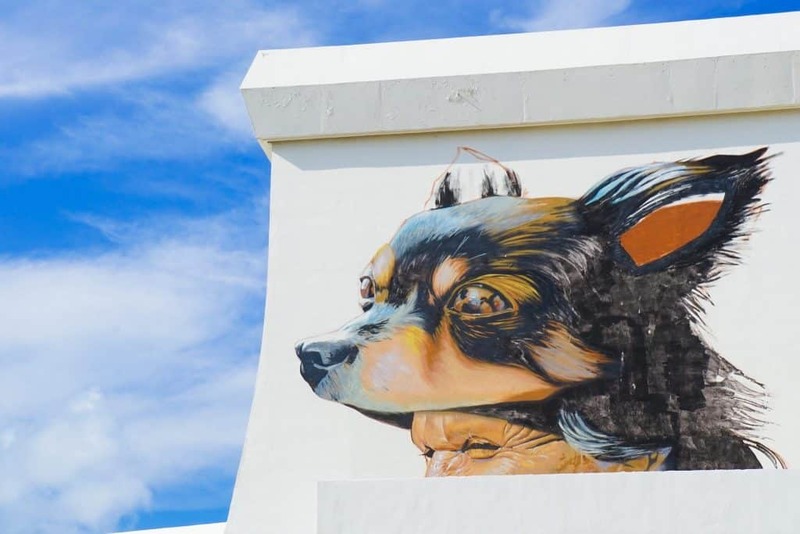 Be sure to keep your eye on the giant canvases in the sky that are the sides of new buildings outside of town, or peak into empty carparks or alleys to see what awaits you. 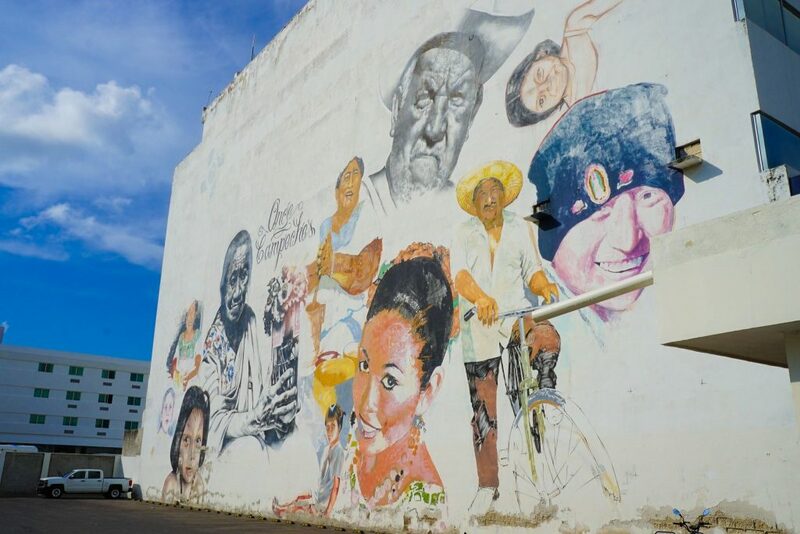 While nowhere near the famous street art scene in Buenos Aires or Sao Paulo – Campeche is modest, which makes every discovery all the more delightful! 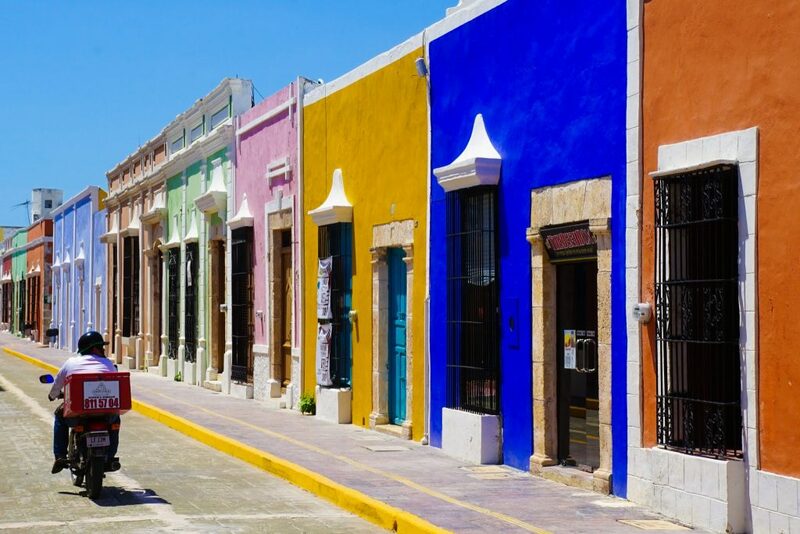 The UNESCO Listed Old Town of Campeche remains one of Mexico’s best-kept secrets – a rainbow city on the Yucatan Penisula largely unfrequented by international tourists who opt for garish Cancun instead. 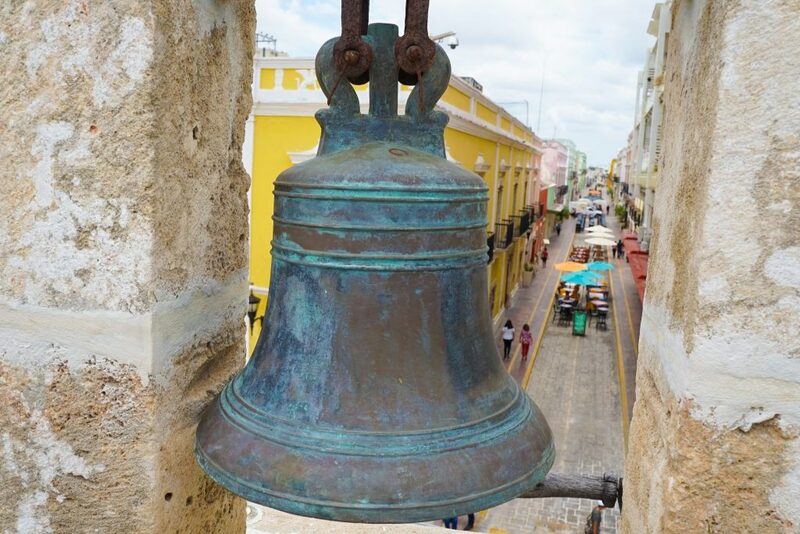 This inaction and relative anonymity amongst fellow travelers leaves a picturesque colonial town, with pastel mansions and narrow cobblestone streets there for the taking – for those who will make the journey here – just as it did for Pirates for many centuries. 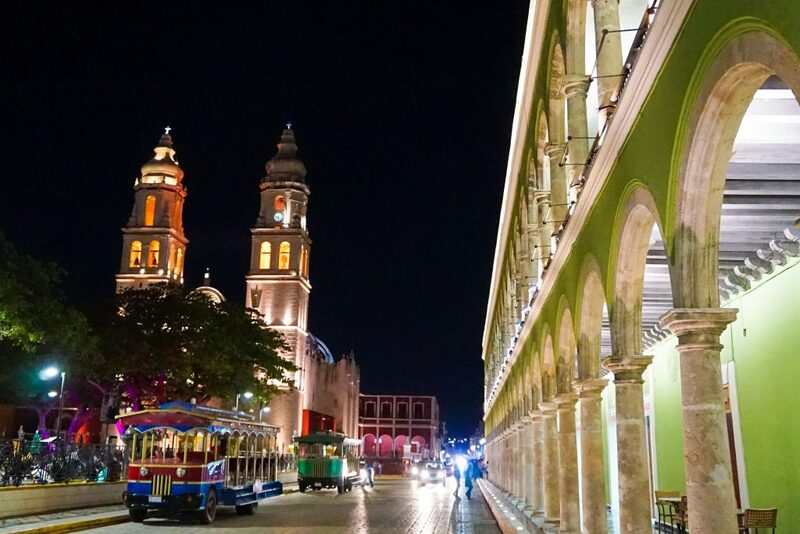 These 11 things to do in Campeche will help you discover one of Mexico’s best-kept secrets and hopefully help show you all the best things to do in Campeche Mexico – but of course, there are always more things waiting to be discovered by those who take the time to come and experience Campeche. 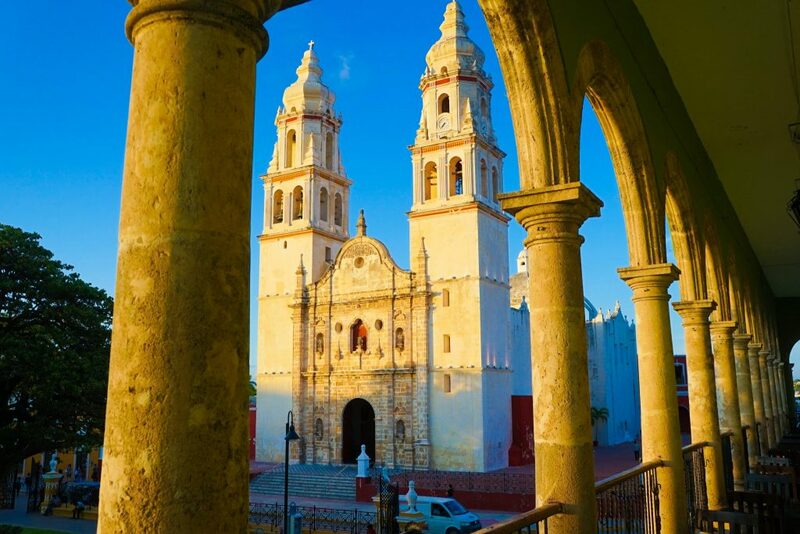 A real colonial wonder, the Old Town of Campeche has something for everyone.